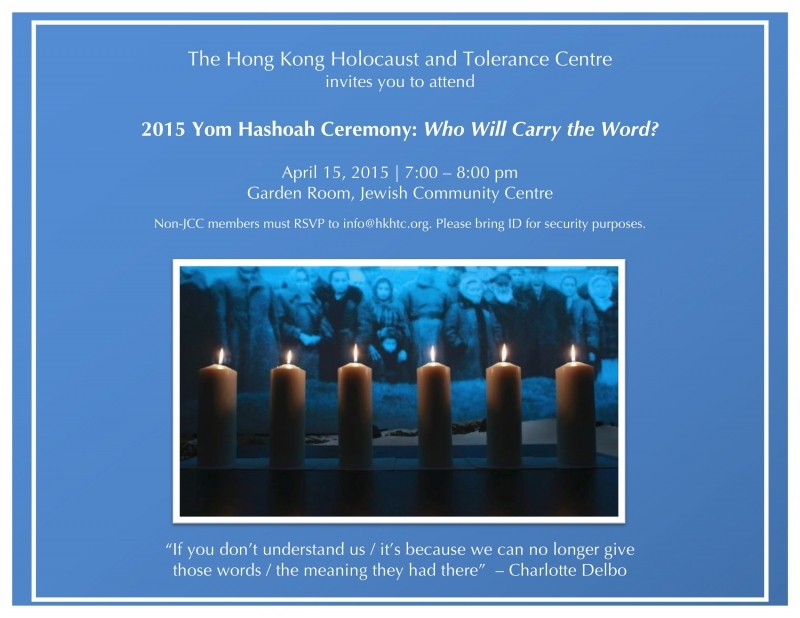 On the evening of April 15th, 2015 HKHTC marked Hashoah, Israel’s Holocaust Memorial Day, with a special ceremony at the Jewish Community Centre. The programme featured an abridged performance of Charlotte Delbo’s renowned play, “Who Will Carry the Word?”, based on the experience of 20 women imprisoned in Auschwitz-Birkenau. Survivors, religious and lay leaders, students, and members of the community paused both to reflect on the horrors of the Holocaust and recommit to engaging with its history and mandate.